Delight your night with your loved one at Php 1,200 nett per couple on Valentine’s Day at Vistamar Beach Resort and Country Club! Enjoy a cozy ambiance with mesmerizing serenades, a sumptuous dinner and a glass of wine. Confirmed Bookings on or before January 31, 2019 rate is at Php 1,000 nett per couple. 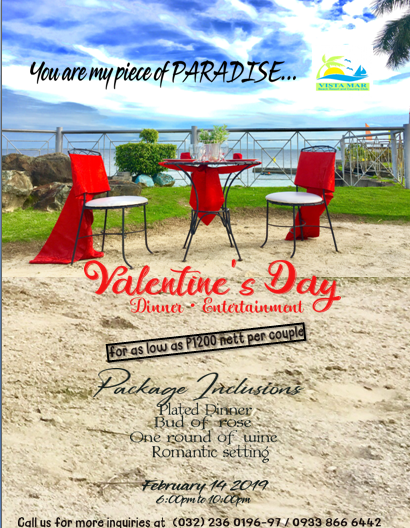 BOOK YOUR VALENTINE’S DAY DINNER TO US AND FEEL THE PARADISE BY THE SEA ON VALENTINE’S DAY! 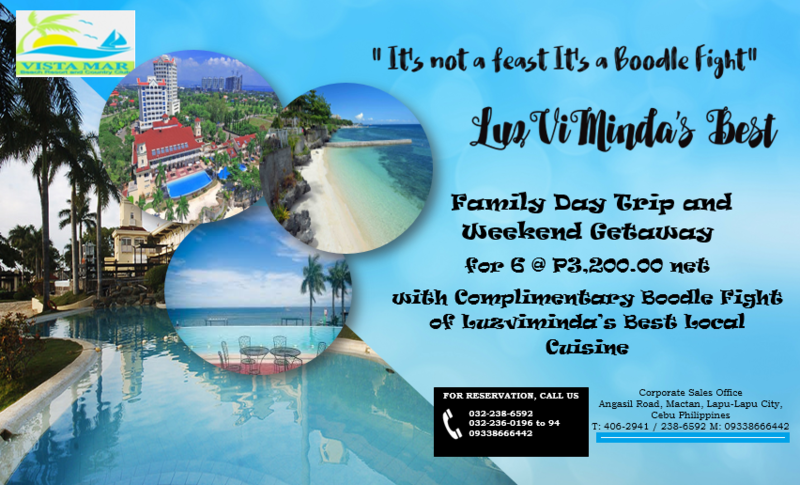 For Bookings and Reservations please do email vistamarsalesdepartment@gmail.com or call us at (032) 236-0196. Come rain or shine you are always able to relax with a swim in our authentic Villas Pool Side and our overlooking Infinity Pool. 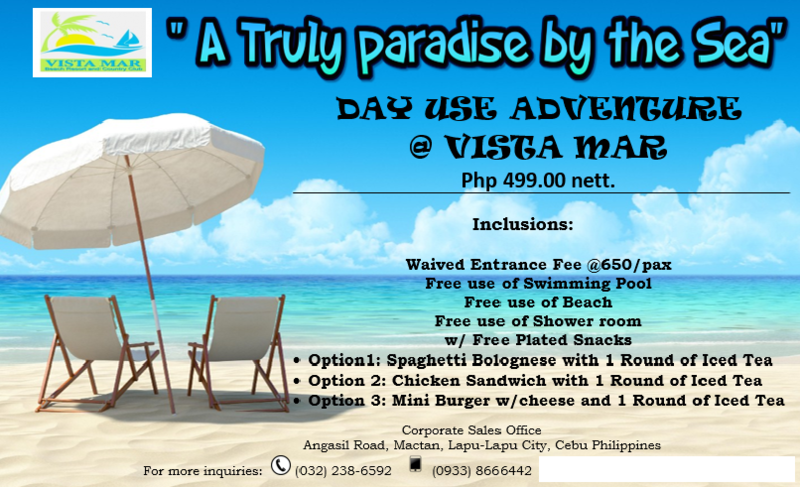 Bring your Family and Friends at Vistamar’s Day Use at Php 499 only! You don’t need silver spoon and fork to eat good food. 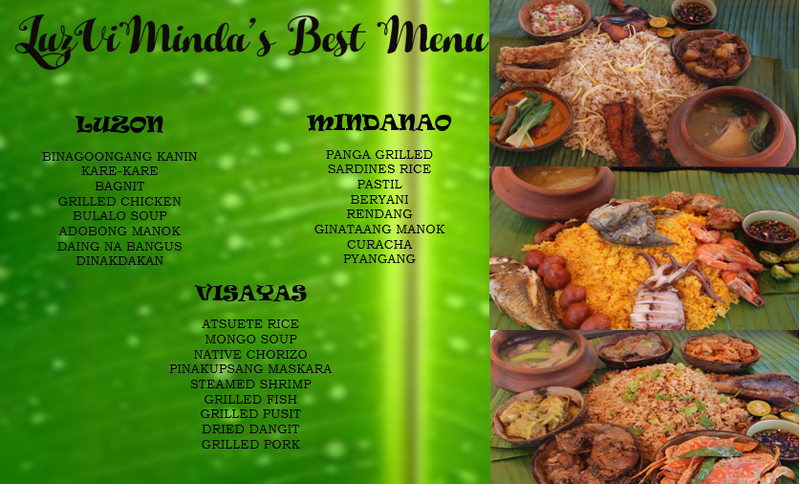 You can go to Vista Mar Beach Resort and fight a boodle fight!